This is the story of the internationally known firm from its start in North Wales to its present day incarnation in London’s Mayfair. 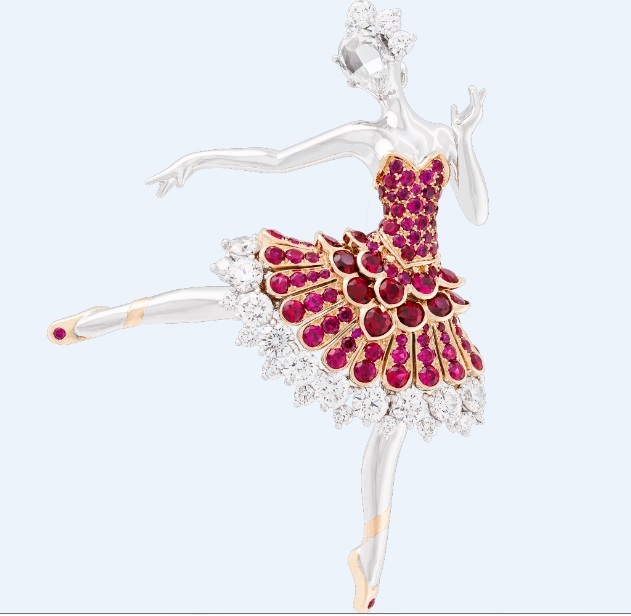 It is a remarkable tale adorned with marvellous precious objects, including, of course, works by Fabergé. 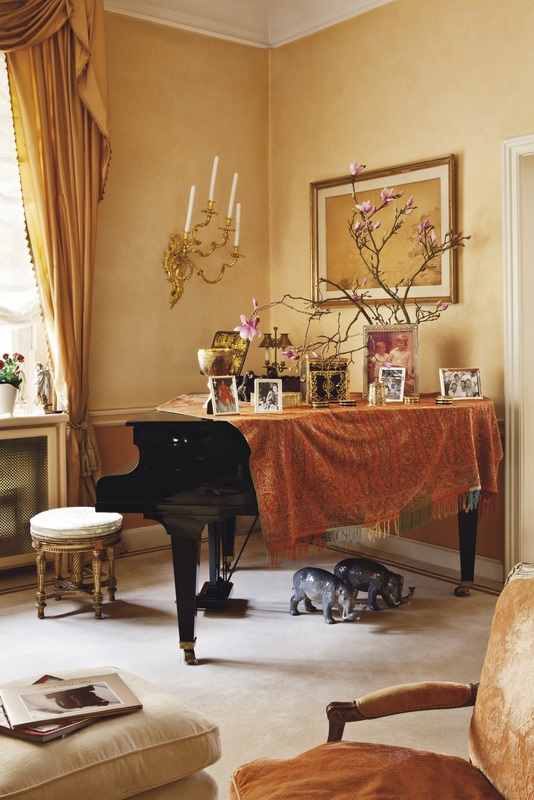 Their clientele is wide ranging from crowned heads, writers, stars of stage and screen to notable collectors such as Malcolm Forbes and Marjorie Merriweather Post. It is a vibrant firm which continues to not only sell the past but also encourages contemporary jewellery designers and goldsmiths. This is a well-illustrated book with images of both the wonderful pieces that have passed through their hands and their glittering array of clients and thus it also becomes a social history. A Fabergé Aquamarine and diamond brooch bought by Nicholas II for his wife Alix of Hesse three months before their wedding. 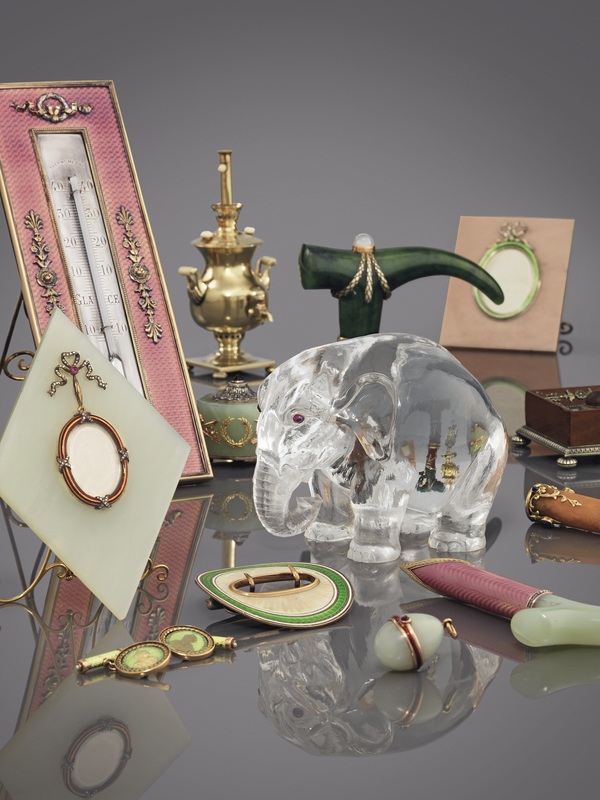 The author is Wartski’s Managing Director, Geoffrey Munn, who will be a familiar face to many of you from his appearances on the BBC Antiques Road Show. He is to be congratulated on this history of the firm and I really don’t think there could be a more fitting way to celebrate Wartski’s first 150 years. 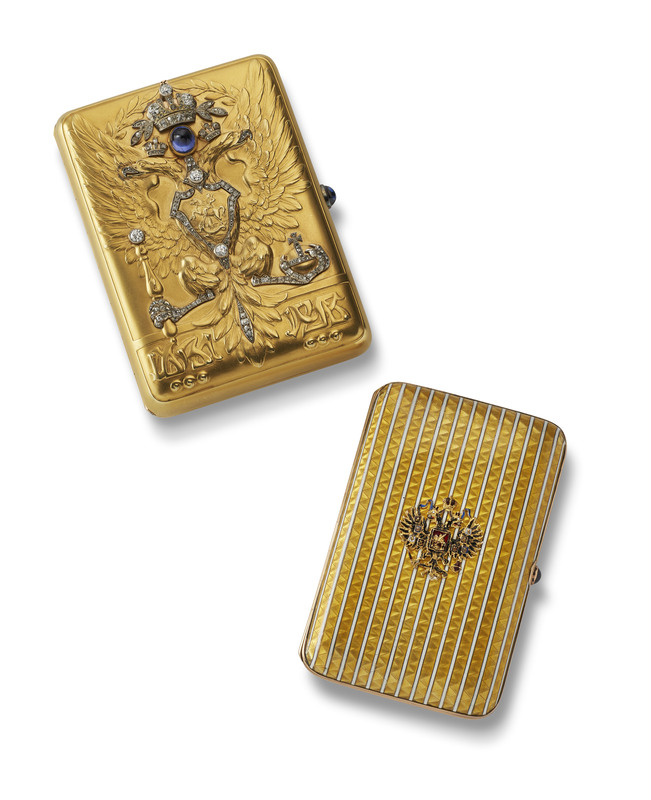 Imperial Presentation Cases by Carl Faberge. There can be little doubt that Monsieur de C, who formed this remarkable collection over more than three decades is a man of great taste and connoisseurship. 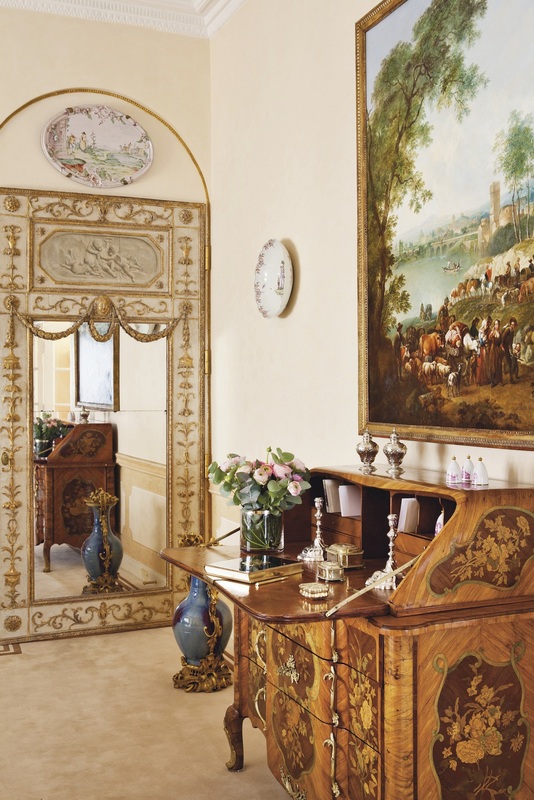 He focused on the 18th century with particular interest in the furniture of Abraham and David Roentgen, the celebrated Neuwied- based cabinetmakers. 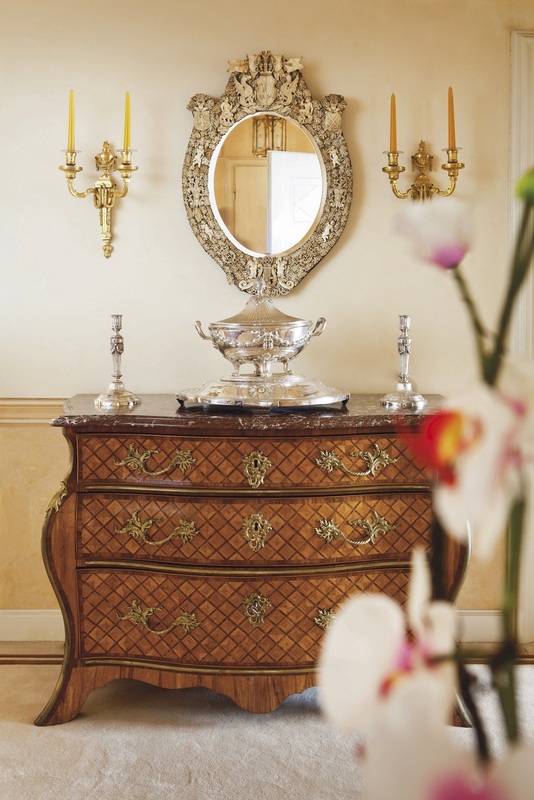 While the father’s furniture forms reflected rococo shapes David’s pure lines and veneers were superb examples of neoclassical taste and it is no surprise that Catherine the Great and Louis XVI were among his patrons. The collection is rich in other treasures of German craftsmanship, including an exceptional pair of Berlin gilt-bronze wall-lights, circa 1745 made for the Goldene Gallerie at Schloss Charlottenburg (estimate: £50,000-80,000), and 17th and 18th century Augsburg silver, including figures and a pair of silver tureens from the Perm Service made for Catherine the Great. Meissen is also represented well, including a group of pieces with Augsburg Hausmaleri decoration. Another ceramic delight in the auction is a Chinese mid-18th century porcelain serving dish decorated with the arms of Frederick the Great which comes from a service that is believed to have been presented to him (£6,000 – 10,000). 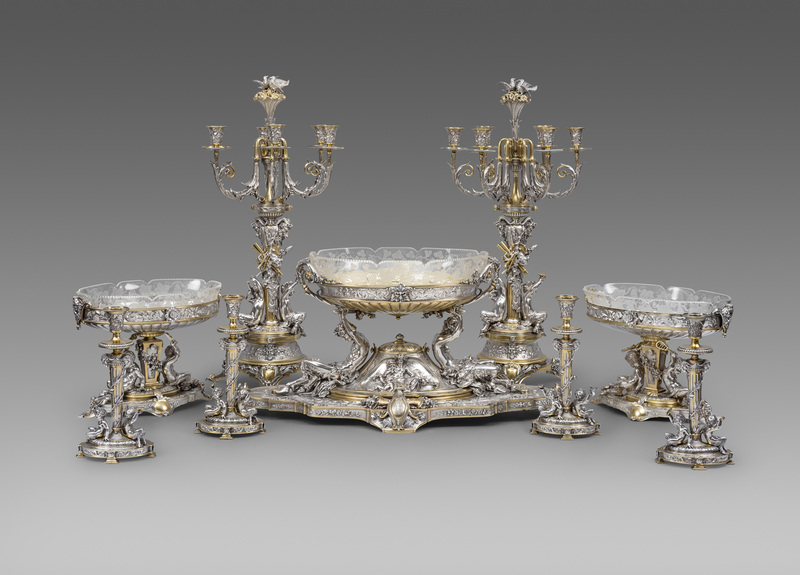 A further area of interest lay in the creations of Fabergé and others in Imperial Russia and there is a fine selection of pieces as can be seen here and also a beautiful silver and silver-gilt table service (estimate:£40,000-60,000). 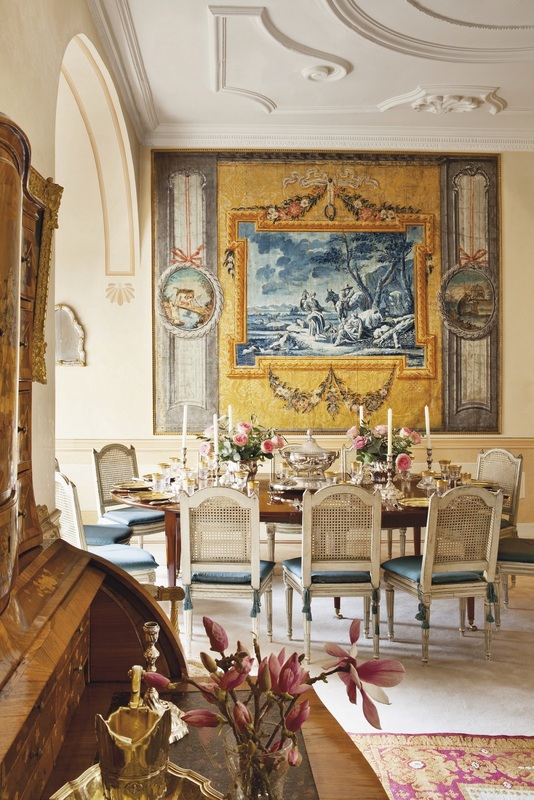 The silver and porcelain (there is a Russian Imperial service too) were used by Monsieur de C when he entertained in the treasure-filled enfilade of rooms of his home. 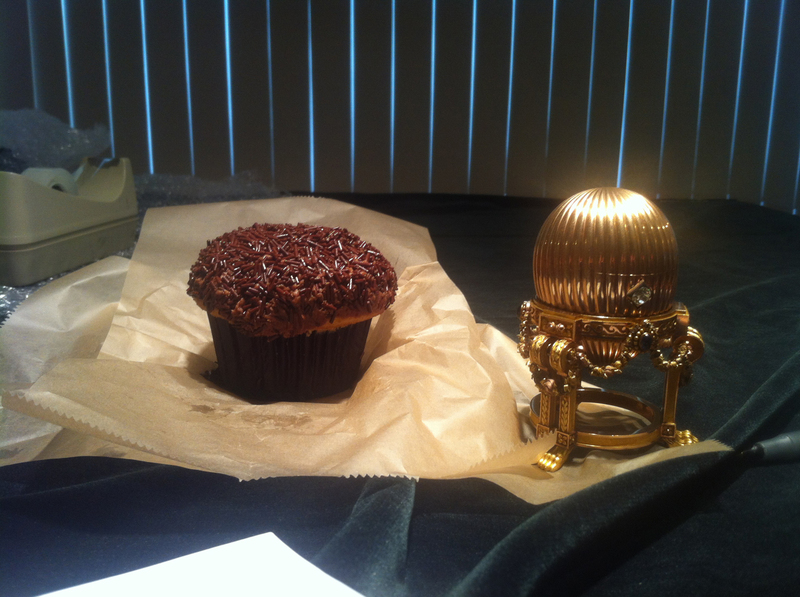 I fully expect that there will be fierce competition to acquire these treasures on the day. 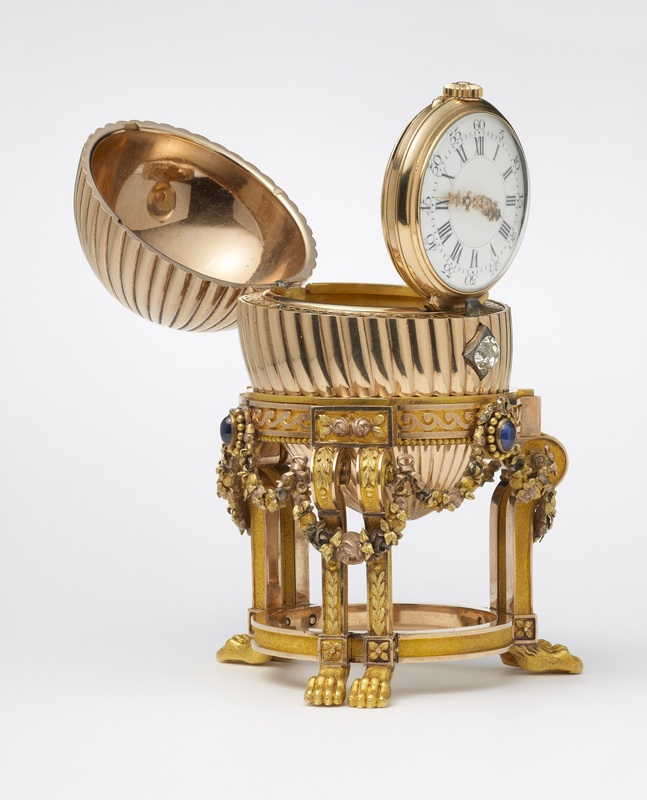 I feel sure that many of you will have read the story of the amazing rediscovery of this Easter Egg created by the Tsar’s goldsmith, Carl Fabergé, and so I will not fully repeat it here. 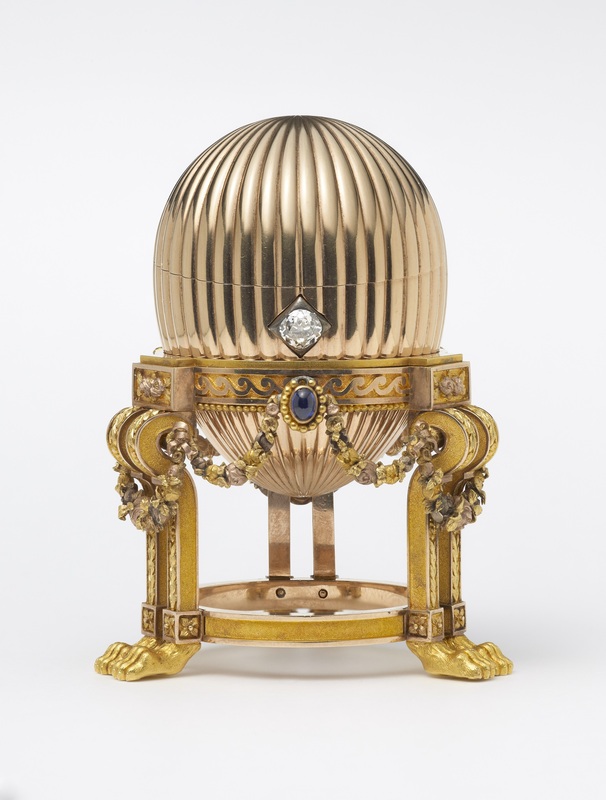 This superbly made egg was the gift of Tsar Alexander III to his wife Marie Feodorovna for Easter 1887. There was a long-established tradition in Russia of giving eggs at Easter which, like in other Christian denomonations, is regarded as the most important festival in the Russian Orthodox religious year. The eggs were also regarded as a token of deep love. 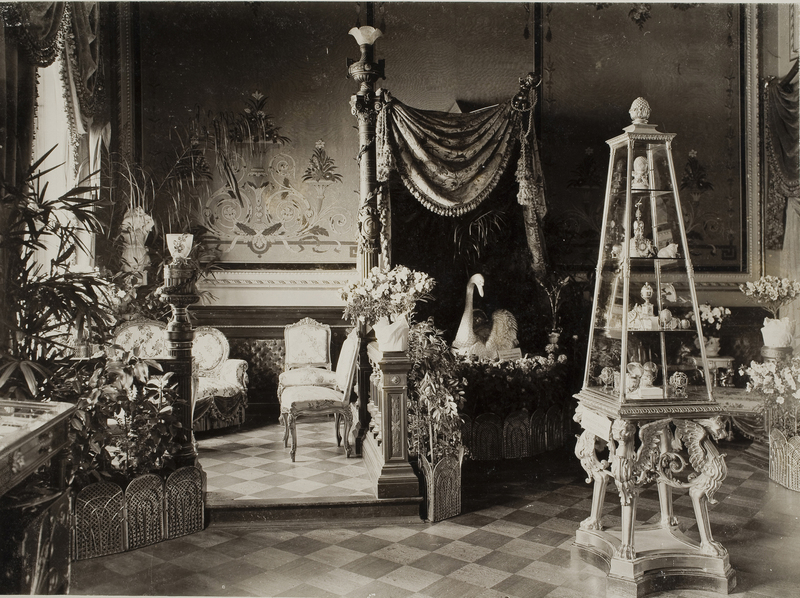 So given in 1887, loaned by the Empress to a charity exhibition in 1902 in the Von Dervis Mansion (you can just see it above on the second shelf of the vitrine containing the Empress’s loans, including other Fabergé eggs) and confiscated by the Bolsheviks during the Revolution. It was put up for sale by the Soviet government in 1922 and then disappeared from sight until it was sold in New York by the auctioneers Parke-Bernet in March, 1964. At that time no one realised its significance and it was sold for the equivalent of £875. Fortunately it was illustrated in the catalogue and when this was discovered by Fabergé researchers in 2011 hopes of its continuing survival were raised. As you may know it had disappeared again but was subsequently bought for its gold scrap value at a bric-a-brac market by a man living in the Mid-West of the USA. He tried to sell it seven times to no avail but when eventually he typed Egg and Vacheron Constantin into Google he came across an article on the egg’s survival in the Telegraph which quoted Wartski director Kieran McCarthy, so he got in touch with Kieran (the photo shows how Kieran first saw the egg in the States) and the rest, as they say, is history. 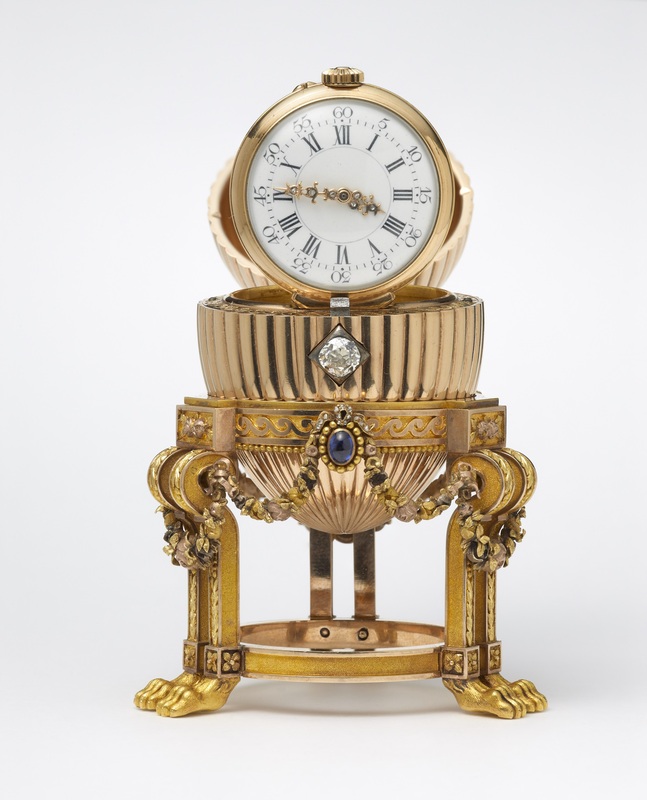 Wartski are Royal Warrant holders and leading experts on the work of Carl Fabergé. 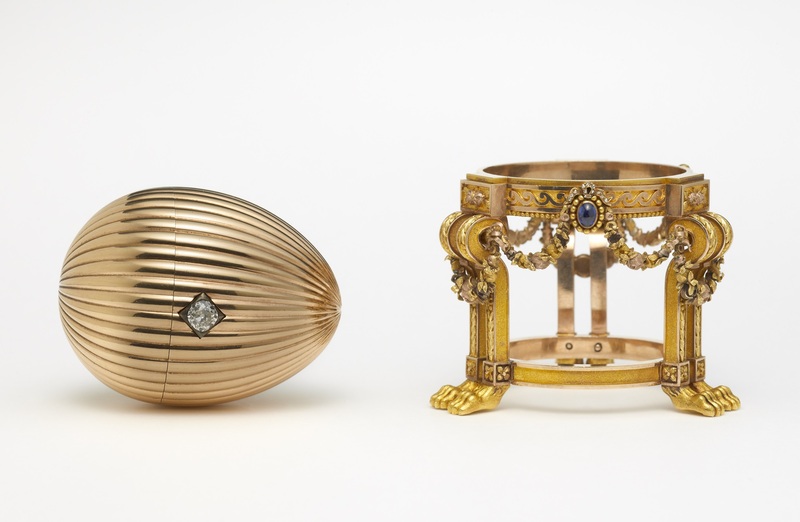 The reeded yellow gold egg opens by pressing the brilliant cut diamond pushpiece, to reveal a Vacheron Constantin watch with diamond set gold hands that is hinged to allow it to stand upright, the egg is supported on an elaborate sabléd gold stand, stood on lion paw feet and encircled by finely chased coloured gold garlands suspended from three cabochon blue sapphires topped with rose diamond set bows. Made in the workshop of Fabergé’s Chief-Jeweller: August Holmström in St. Petersburg, 1886-1887. Height 8.2 cm. The Egg is similar in size to a hen’s egg as were the previous two Easter Eggs made for the Tsar but this is the first of the Imperial Egg’s to have a special stand. It was quite usual for the stand to be of a different style to the egg. The garlands adorning the stand are made of individual parts which have been pegged together. 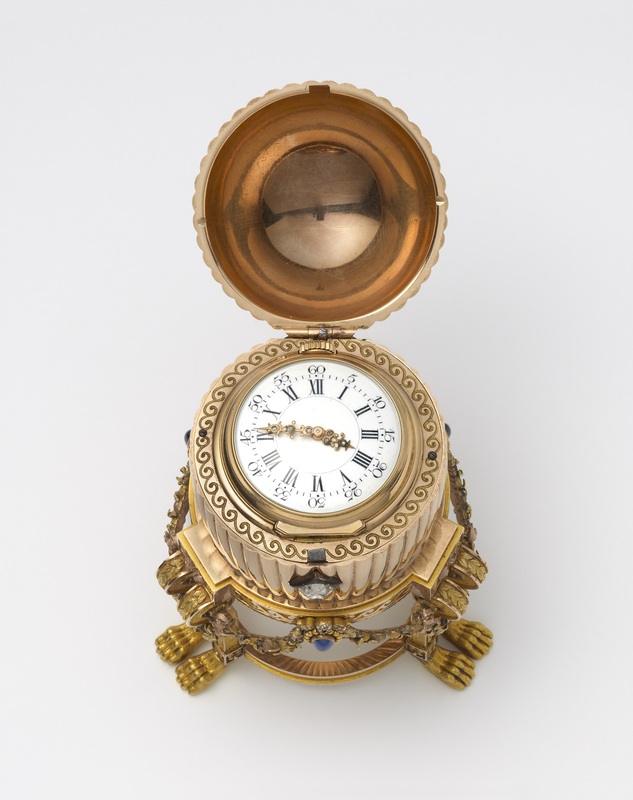 The “surprise” is the Vacheron Constantin pocket watch and it is thought that it may have had a special significance to the Empress and that is why her husband decided to have the watch encased in this egg. As I write this I am still absorbing the marvellous experience and privilege of having been able to hold and examine this wonderful, historical object. For obvious reasons this cannot happen on public show but when you come to see the egg on display you will also be able to see images from the “miraculous” history of its survival. Do give a silent vote of thanks to the new owner who has so generously allowed it to be seen and its return to be celebrated in this exciting way! Open to the public from Monday, 14th to Thursday, 17th April from 11am to 5pm. Entrance is free, but queues are expected.